There's no need to go to other countries just to see nice places. You can find lots of nice place inside Cebu. China, Brazil, USA, Macau, Nepal, Hong Kong? Why there if you can find it inside Cebu Philippines? 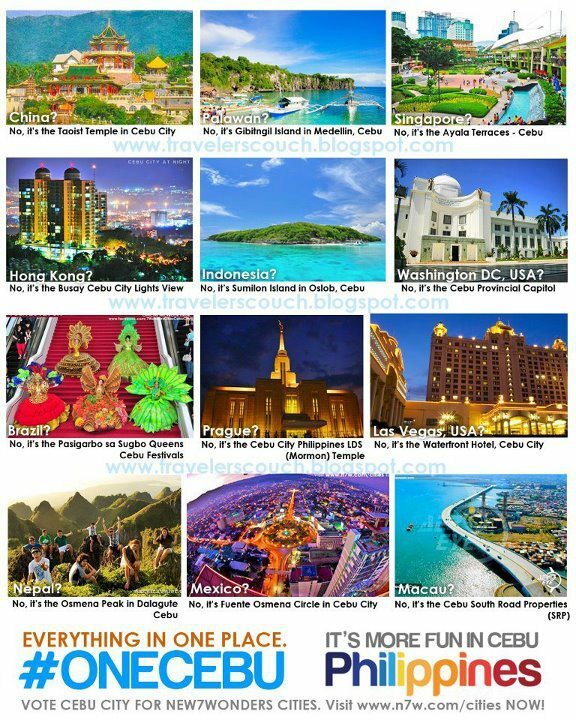 Its more fun in Cebu Philippines.